Without a doubt, breakfast is my favourite meal of the day. I like going out for dinner but rarely do. Breakfast is a different story, it’s more indulgent somehow. I love the coffee, the savoury and the sweet, the sticky maple syrup and the hearty big breakfasts. With that in mind, I have tortured myself by going through the painstaking process of eating a lot of breakfasts around Brisbane, it’s a hard life, I know. Some were good, others were excellent and a few were average. 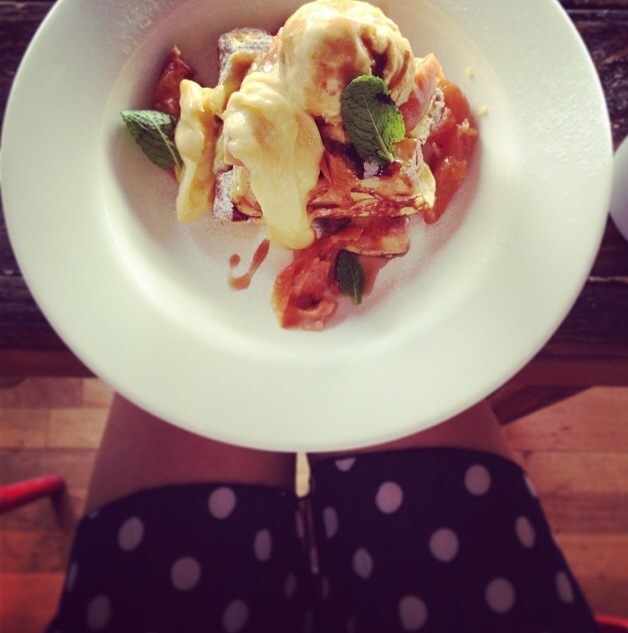 Here is my write-up of a few of the happening Brisbane breakfast spots I have visited recently. I visited Shady Palms based on how many great things I’d heard about it. Turns out, it really does live up to the hype! What’s cool about this spot is how laid back and unassuming it is, there’s no way you’d pick it to serve up such interesting and delicious food based on it’s chilled out façade. The food here is seriously good! I had French toast brioche soldiers with roasted stone fruit, lemon curd and mandarin ice cream. Not one to usually choose a sweet breakfast, I was blown away by how good it was. The sweetness of the brioche with the tart lemon curd = dreamy. Importantly, it wasn’t too eggy. Vegetarians will find quite a few options, the menu doesn’t list many gluten-free breakfast items but I’m sure you’d be able to work something out by talking to the staff. I also really like that they use free-range eggs and local and organic produce where possible. 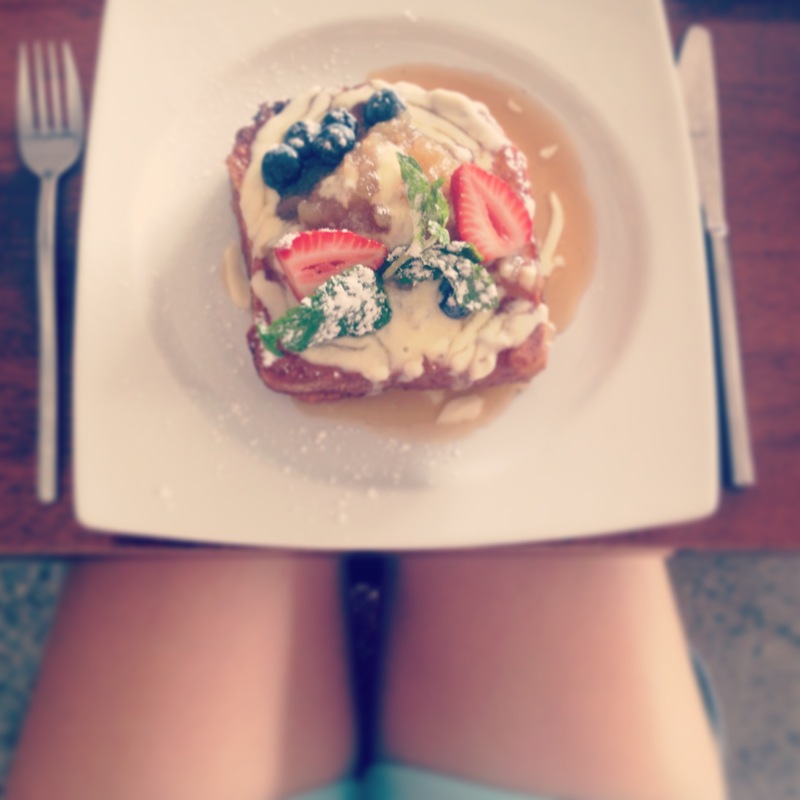 I’d recommend Shady Palms to anybody looking for a well-priced, delicious and chilled out breakfast. Find Shady Palms Cafe and Bar here. It’s a bit of a hipster’s paradise up in Plenty, with its stripped-back industrial feel and proximity to the West End markets. The kitchen sits smack-bang in the middle of the place, but that’s really cool too. I know it sounds boring, but I went with avocado on Turkish bread with tomato, basil and mozzarella. It was really delicious, but the portion size was quite small. Next time I’ll listen to my stomach and order something more substantial or go crazy and do back-to-back ccappuccinos uh oh! All the food looks really beautiful and is very fresh, Plenty has a great specials menu that changes quite regularly, depending on seasonal produce. I would recommend this spot if you want a light breakfast, just be careful not to get caught in the hipster tsunami when the markets are on. The line out the door would normally be a turn off for me, but damn am I glad I stuck with it. Breakfast at Paw Paw is something no self-respecting Brisbanite should miss and something I highly recommend. There are lots of options for vegetarians (me) and the gluten-free among you. It seems most menu items start as vegetarian with the option to add bacon or smoked salmon. Portion sizes here are great, so it’s perfect if you’ve had a big ‘night before’ or just woke up with a hungry tummy. The French toast special and breakfast burrito were both absolutely freaking delicious! The food doesn’t just taste good, it looks beautiful too. Importantly, the coffee is spot-on. I don’t mind where the beans are from or what kind they are, as long as my coffee tastes good, I’m happy. But in this case, I think the Paw Paw Café & Campos Coffee union is a match made in breakfast heaven. I have a feeling this place just became one of my regular spots. Find Paw Paw Cafe here. I’d driven past Primal Pantry once and the line was huge, since then I have patiently waited for the hype to die down. The idea of having a delicious breakfast that’s healthy really appeals to me, because you don’t always feel like a rich or sugary start to your day. The Primal Acai Bowl was really delicious and beautiful to look at too. 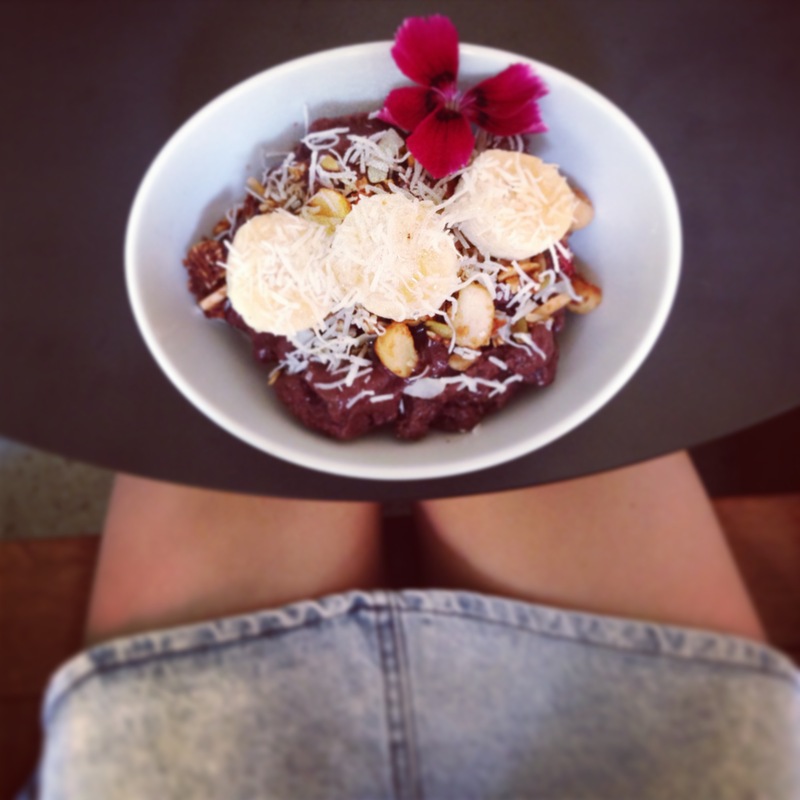 Pure, organic acai with “paleo hero’ muesli, banana, coconut and raw honey – all good for you and guilt-free. The only letdown I experienced was portion size and coffee. The food was just so good, I wanted more and could’ve probably eaten a second Acai Bowl. As a soy drinker from way back, I was a bit confronted by soy-milk not being an option and went with almond milk instead. Unfortunately, coffee made on almond milk just isn’t for me and I couldn’t drink it. Soy isn’t available as it isn’t ‘Paleo’, that said, full-cream and light milk are available, neither of which are ‘Paleo’… go figure? I recommend Primal Pantry for those after a light, healthy breakfast option. 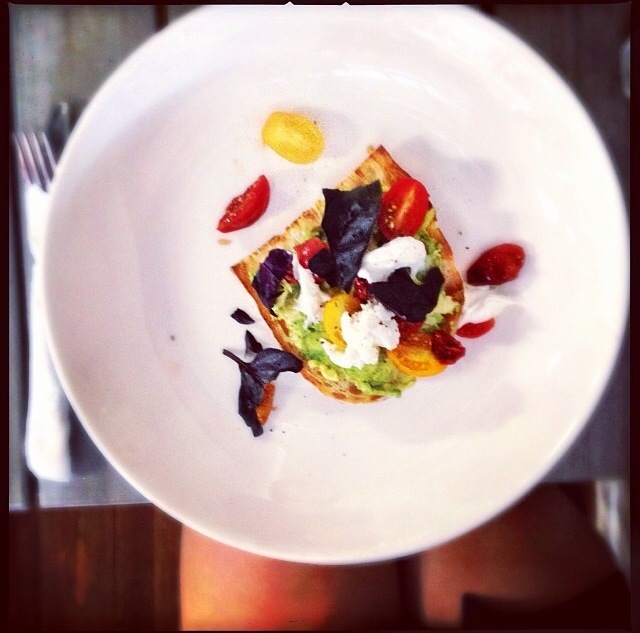 Most things on the menu are gluten-free and there are quite a few options for vegetarians too. Ok, ok so this one is not actually in Brisbane. This happening little spot is located in Broadbeach on the Gold Coast. Perfect for a post-surf breakfast or lazy start to the day while on holidays. It can be hard to find a good breakfast spot on the Gold Coast, most serve average-tasting, simple food at ridiculous prices – this definitely does not apply to Elk! The service and coffee are both really great! 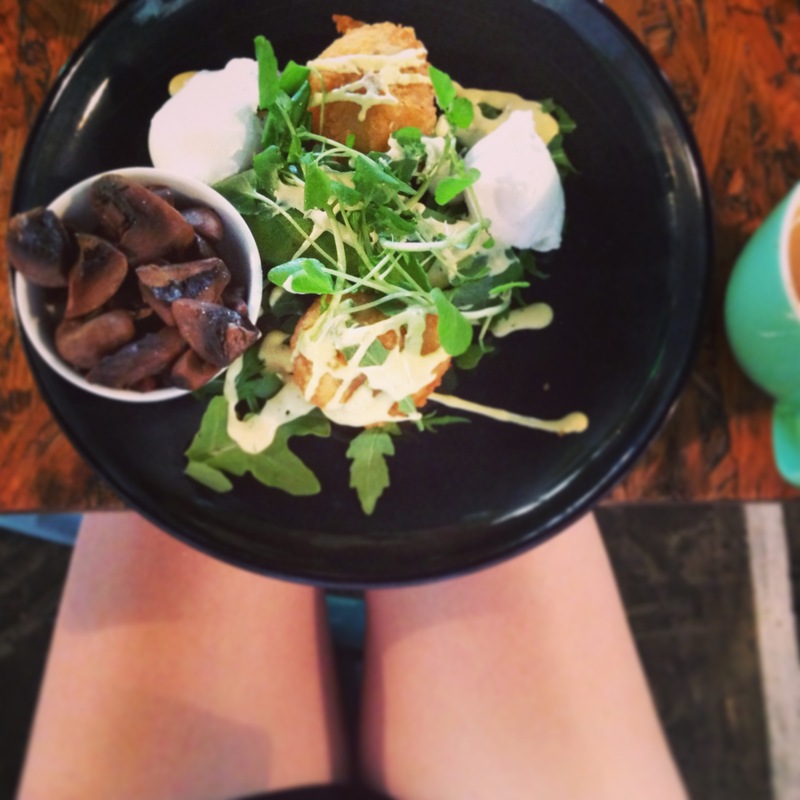 I can personally vouch for the potato hash with avocado, mushrooms, rocket and hollandaise. The food here looks sensational and tastes absolutely divine with perfect portion sizes. All the little takeaway cakes and sweets look absolutely delicious too! I recommend Elk Espresso to anybody and everybody who wants a great, good quality breakfast on the gold coast without any of the trashy crap that usually comes with it. This place is a must-visit, seriously.